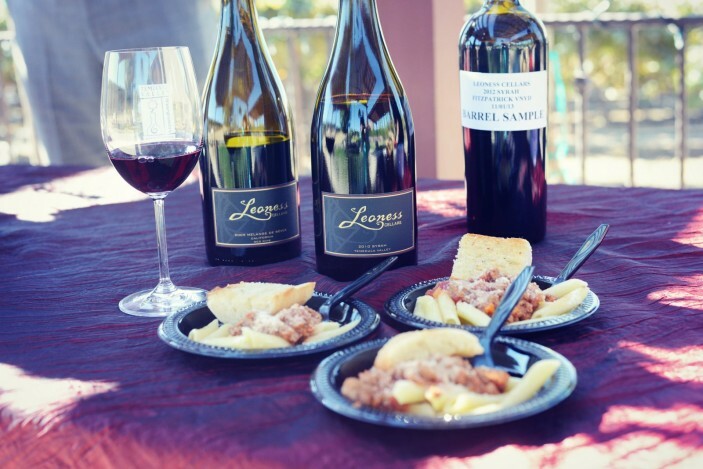 Just one week away on March 1 & 2, Temecula Valley’s “World of Wine” Weekend offers gourmet food & wine pairings at 30+ wineries – all-included in one passport ticket price. 2-Day and Sunday-Only Tickets are still available here! • Baily Vineyard is serving 2010 Cabernet Sauvignon with Beef Bourguignon; plus Parisian Apple Cake with warm caramel sauce and late harvest Sauvignon Blanc-Semillon whipped cream. • Callaway is serving 2012 Winemaker’s Reserve Roussanne (pre-release) with Sage Mountain Farms organic beef meatloaf topped with bacon & apple chutney; plus rock shrimp and leek-mousse stuffed mushrooms. • Danza Del Sol is serving 2011 Tempranillo with roasted chicken, topped with a seared lemon glaze over sun-dried tomato orzo. • Palumbo is serving 2013 Brezza de Mare (a Viognier-Roussanne blend) and 2012 Sophia’s Vineyard (Cabernet Sauvignon barrel sample) with thin-sliced cold roast beef on garlic toast points, California chipotle cream relish. • Ponte is serving 2011 Barbera with mini brie en croute layered with toasted almonds, Crasins and a dark sugar glaze. This two-day/30+ winery passport event also includes live music at many winery stops and a “cork art” contest to help promote sustainability. 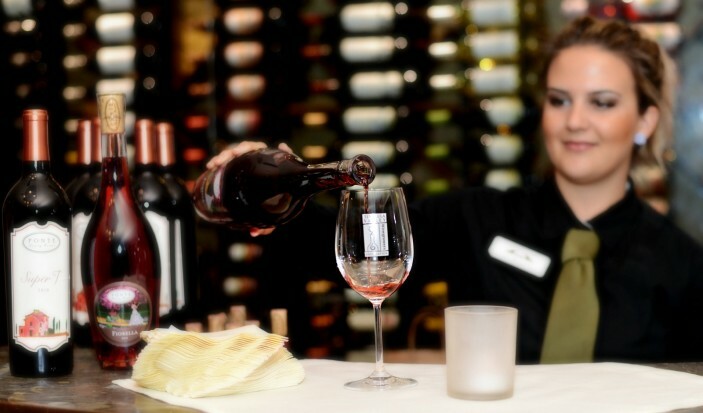 Come join us on March 1 & 2 and taste the best of Temecula Valley wine country. Don’t forget to get your World of Wine tickets TODAY before it’s sold out!! 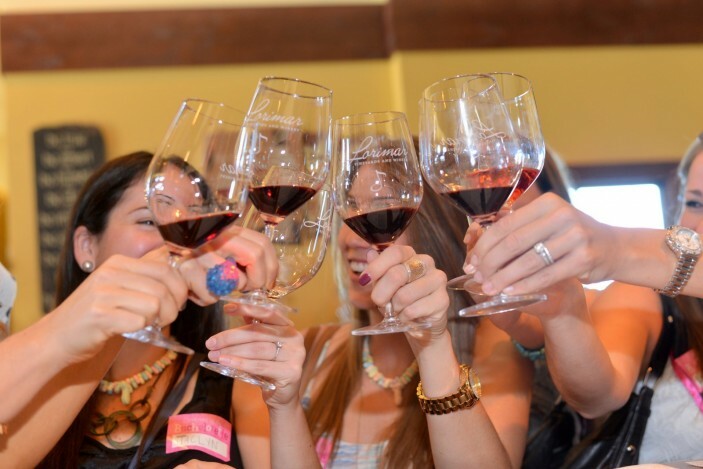 World of Wines Barrel Tasting Weekend is Temecula Valley’s first regional tasting event of 2014, taking place March 1 & 2. The “World of Wine” theme demonstrates the fact that the Temecula-South Coast AVA successfully grows varietals from all over the world. The WoW event is passport style, where hundreds of ticket-holders armed with a glass and a map can enjoy a self-guided tour through wine country. Over the course of the weekend, Temecula Valley’s 35 wineries offer special tastes of newly released, unreleased and barrel samplings of great Temecula wines, along with tasty tidbits and live music. To promote and celebrate sustainability, participating wineries will have fun competing in the Best Winery Cork Art Contest, where the winning winery will receive a $500 donation to their favorite Southern California charity and the winning guest voter will be awarded four tickets to the region’s next big passport event. HOW: Self-guided passport event, where guests can visit 35 member wineries at their own pace; winery map and souvenir tasting glass provided for each guests to keep. Plus gourmet food pairings, live music and fun contests! 2-Day Tickets: $89 Early Bird (through Feb 1); $99 thereafter. Local residents of Temecula/Murrieta, 2-Day Tickets: $79. Designated Driver (food only) Tickets: $69. Call (800) 801-9463 for tickets by phone or purchase online here! Shuttle and limo transportation and overnight packages also available at participating wine country hotels. Temecula Valley’s first passport event of 2013 is just one week away! WORLD OF WINE WEEKEND IS MARCH 2-3. 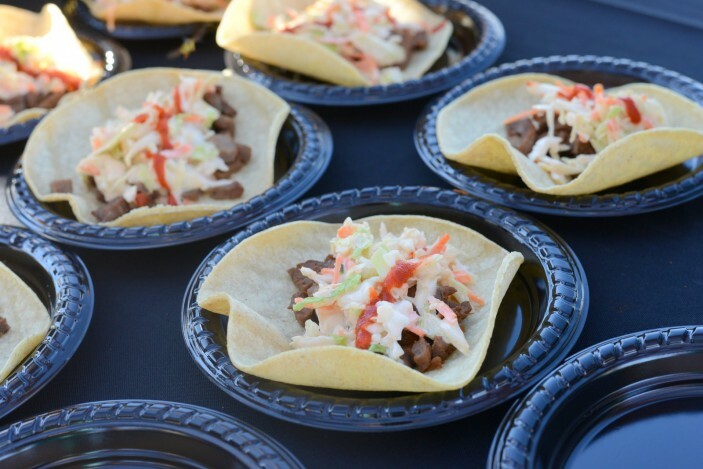 Southern California food and wine-lovers who are looking to bundle their event tickets with a special VIP experience, a shuttle service, an overnight stay – or all of the above! – can choose from several World of Wine packages. *New VIP packages for 2013! Tickets are limited, reserve today. Join veteran winemaker, David Vergari and winery owner Steve Thornton for a scrumptious four-course dinner perfectly paired with Thornton wines. * Old-fashioned strawberry shortcake with a Cherry Caramel Kiss wine reduction; served with a Caramel Cherry Kiss! Join Cougar Winery for a behind the scenes “Ground to Glass” vineyard and winemaking tour with continental breakfast. WoW + Ride packages are from $59-$189. Event guests can leave the driving to the professionals during World of Wine Weekend! Grapeline Wine Country Shuttle offers several packages, which include: passport event tickets, pick-up / drop-off, shuttle service to 9-10 wineries per day, wine and food samples at each winery stop, map of Temecula Valley and a souvenir glass. Grapeline shuttles pick up at all local hotels and at Pechanga Casino for day-trippers. Guests who book these packages get to skip the check-in process at the TVWA. World of Wine two-day tickets are $99 per person, so the $199 Weekend Package is a savings of about $10 — plus the added convenience of the friendly shuttle service. Temecula Valley wine country is an idyllic, easily-accessible, year-round wine destination where visitors can experience premium winemaking in a warm, welcoming atmosphere along with fine dining, stunning scenery and exciting events. 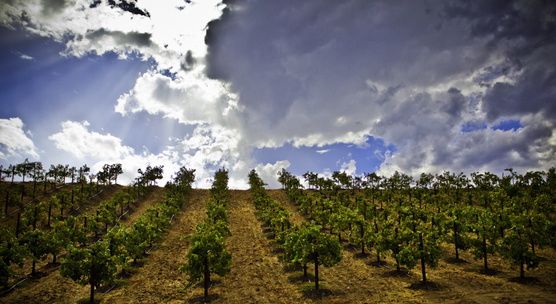 Temecula Valley is only a 60 – 90 minute drive from all major Southern California cities. 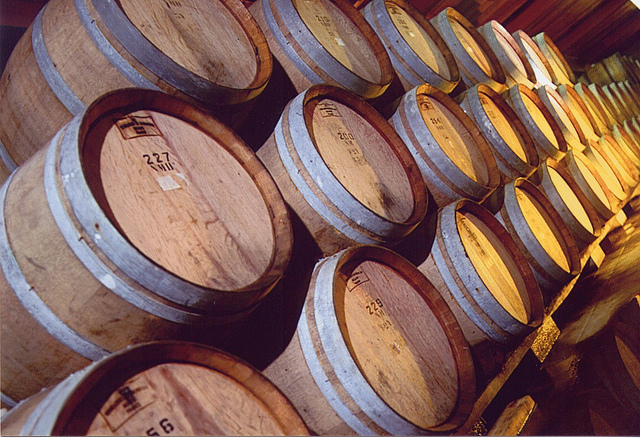 There’s only 10 days left to get $10 off the 23nd Annual “World of Wine” Winter Barrel Tasting Weekend! 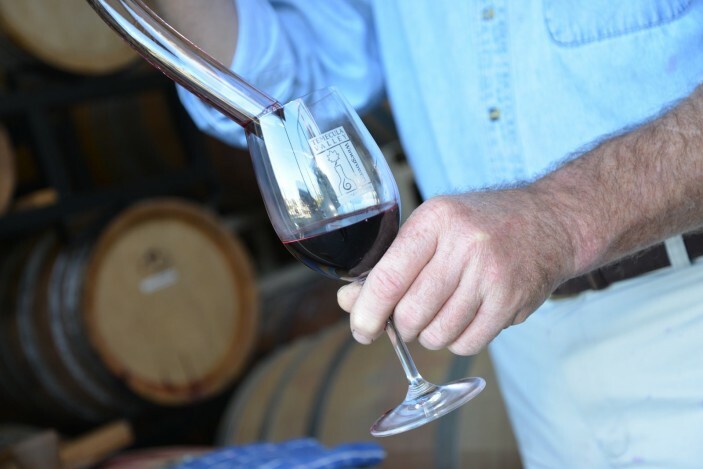 The first passport event of 2013 offers two days of barrel samples, delicious food pairings and quality time with Southern California winemakers – plus fresh culinary events on Friday, Saturday and Sunday. World of Wine in Temecula Valley is the perfect weekend of wine tasting for Southern California families, friends and couples. For the first time ever, this up-and-coming wine region has added a limited number of exclusive dining and tour experiences to complement the 23rd Annual World of Wine passport weekend. 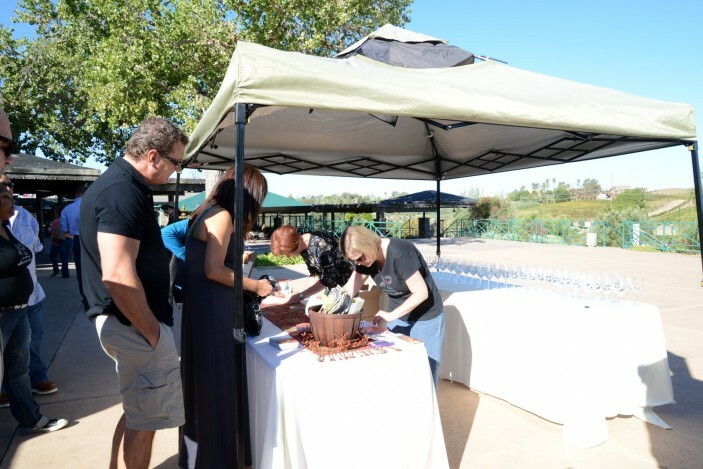 One of three annual events hosted by the Temecula Valley Winegrowers Association, World of Wine offers passport holders a chance to sample both wine and food at 35 wineries along an easy circuitous route via Rancho California and DePortola Roads. *Please note, there are limited tickets available for these new VIP events — check back soon for more details and to purchase tickets! TICKETS: 2-Day Tickets: $89 Early Bird (through Feb 3); $99 thereafter. Sunday-Only Tickets: $79. Local residents of Temecula/Murrieta, 2-Day Tickets: $79. Designated Driver (food only) Tickets: $69. Call (800) 801-9463 for tickets by phone or purchase online at TemeculaWines.org/Events. WoW + Ride Packages are available for a safe tasting weekend; The Grapeline Wine Country Shuttle is offering several all-inclusive packages ranging from $59-$189 ($10 off if booked prior to Feb. 1st); other transportation companies include Executive VIP Shuttle, Sunset Limousines and West Coast Chauffeur & Transportation. For more packages, please visit TemeculaWines.org/Events. WoW + Stay Packages are available through The Inn at Europa Village and South Coast Winery Resort & Spa, located in wine country. For more information or to book an overnight stay, please visit TemeculaWines.org/Events. *Please note, lodging usually sells out in advance.